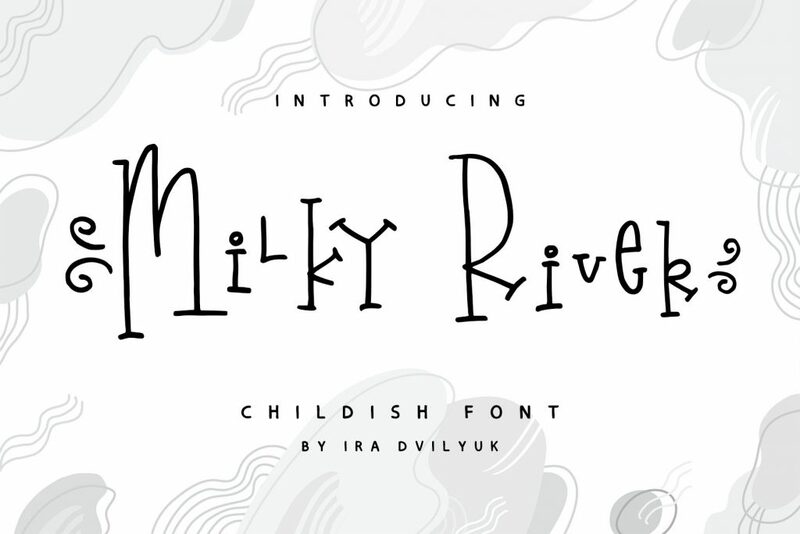 The Milky River symbols is an additional font with 36 hand-drawn doodles, catchwords, arrows, and swashes and can help to make your design more original. Combine and arrange swashes and illustrations to create your own designs and make borders, frames, dividers, logos and more (just use a-z and 0-9 keys in the included Milky River symbols font). A different symbol is assigned to ever uppercase or lowercase standard character so you do not need graphics software just simply type the letter you need. A font family published by Ira Dvilyuk on Wednesday, March 27th, 2019 that has 253 views so far.